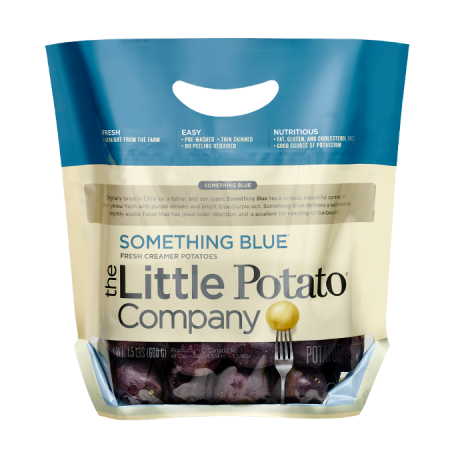 Something Blue delivers vibrant color, buttery texture, bold taste and nutritional value – perfect for families and foodies alike. Originally bred in Chile by a father and son team, Something Blue has a unique, beautiful contrast of colors – yellow flesh with purple streaks and blue skin. Our Something Blue varietal delivers a well-balanced, slightly exotic flavor that has great color retention, and is great for roasting or grilling. Per about 6 potatoes (148g) * Based on a 2000-calorie diet.